Stockholm Computer Desk is perfect for office and classroom situations. 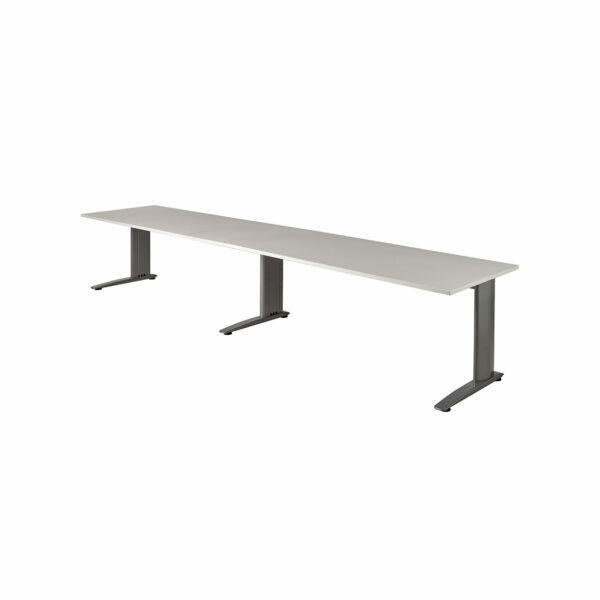 Sturdy, unobtrusive steel leg design with a 25mm White melamine top. 3600×750 2 piece top. Supplied with 2 x 60mm Cable Entry Cap located in the rear of the desk top.